"Looking for weird people creating weird things" - Guest Ruth Ann Thorn - The other half. We are finally back with the second half of our conversation with San Diego gallerist Ruth Ann Thorn (Exclusive Collections). And maybe being a year and a half later you have concluded that the reason for the wait is because the second half was just more of the same. And if that’s you, prepare to be surprised. I’ve heard lots of art dealers go on about how they need to find artists who are not just talented but are doing things their collectors have truly not seen before. And then wait for them to walk in the door, or hope to find them at the next art fair. But Ruth Anne does much more than keep her eyes open. She goes on the hunt. Junkies, Schizoids, and Ex-Cons – oh my. 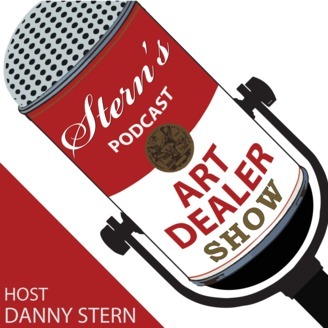 Listen to this new episode of the Art Dealer Show and find out what happens when a gallery owner makes a practice of placing ads on Craig’s list that start with “Looking for weird people creating weird things”. Follow her journey into Hollywood flops and other corners of the world no other art dealer I know is willing to brave, just to find their next artist. But before we get into all that, a year and a half is a long time, particularly in today’s art world. So from our corner booth in the back of the ol’ art dealer bar, I gave Ruth Ann a call to check in and see what has been going on since we first spoke with her. And I’ll say this, it’s not a lot of same old – same old. Ruth Anne has seen the changes coming come and like anyone who will survive to thrive, she’s adapting with the changing climate. So slide on in, order yourself up the perfect tonic to carry you through the hour and join us. The post 27. “Looking for weird people creating weird things” – Guest Ruth Ann Thorn – The other half. 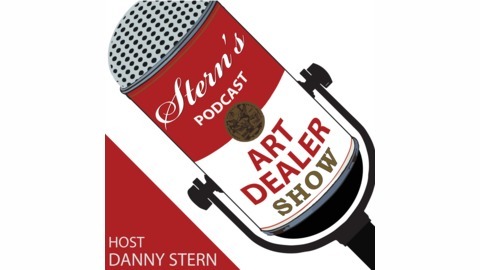 appeared first on ART DEALER SHOW - podcast. Galleries pricing art by the keystone rule and other fun ways to lose a business.